He happened to be at the right place at the right time, putting his past skills and training to good use in stopping a crime. A South Jersey man played a little hero’s role in helping police officers apprehend two shoplifting suspects at the Bass Pro Shop in Atlantic City at around 2:35 p.m. on Monday. 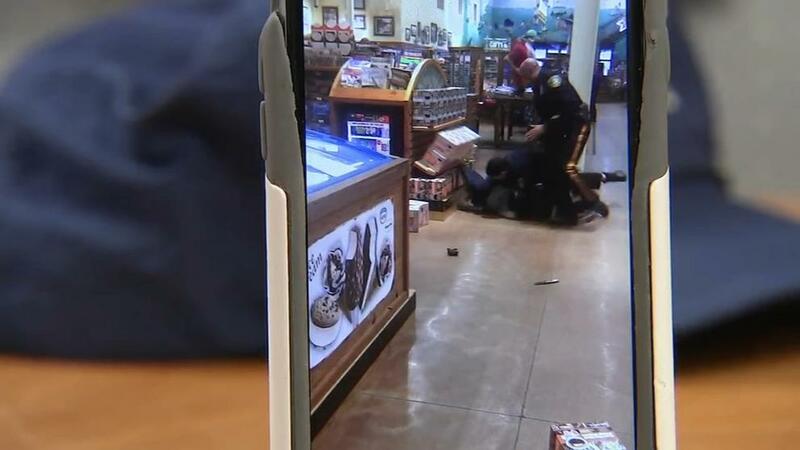 John Dollard, a retired police officer, walked into the said store and saw two officers trying to arrest two men. The situation soon escalated, and that’s when Dollard decided to step in and lend a hand to the officers in taking down the suspects. One of the suspects, 21-year-old Marquis Harrison, punched one of the officers in the face while they were trying to place him in custody. Due to the struggle, a handgun was dropped to the ground. Another suspect was 20-year-old Kaleef Ardis. The combined forces of the officers and former police officer himself Dollard managed to win out in the end. The two suspects were later taken into custody. Harrison now faces charges of unlawful possession of a weapon, possession of a weapon for an unlawful purpose, possession of hollow-point ammunition, weapons charges, aggravated assault on a police officer, resisting arrest, receiving stolen property, shoplifting, and contempt of court. Ardis for his part faces charges of unlawful possession of a weapon, possession of a weapon for an unlawful purpose, possession of hollow-point ammunition, weapons charges, and contempt of court. Dollard proved yet again that even when their tour of duty is over, former officers can still lend a hand in cases of emergency. Dollard’s willingness to jump in and aid the two officers battling two suspects gave them the advantage to outman and outsmart the bad guys. It's always niggers, ALWAYS. Not all blacks are niggers and not all niggers are black, but these 2 douches are certainly niggers.